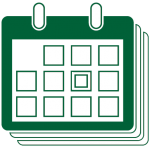 The Camden Conference, in partnership with the Bay Chamber Concerts, is sponsoring a concert by the Odeon Chamber Orchestra at Union Hall in Rockport on February 26 at 6:30 pm. The evening’s performance features a chamber work by Chinese Composer, Chen Yi, accompanied by a short video of the artist discussing her work with commentary by Odeon conductor, Deidre McClure. Also on the program are works by Charles Ives and Edward Elgar. The concert is free and will be followed by a reception with the musicians. 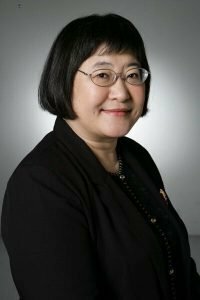 Born in China, Chen Yi has received bachelor and master degrees in music composition from the Central Conservatory in Beijing, and Doctor of Musical Arts degree from Columbia University, New York, NY. Her composition teachers have included Wu Zu-qiang, Chou Wen-chung, Mario Davidovsky, and Alexander Goehr. 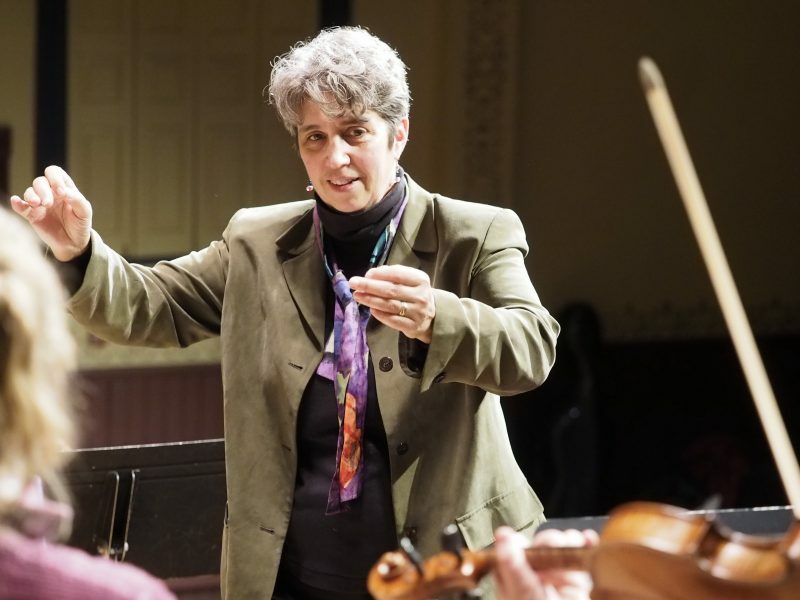 She has served as Composer-in-Residence for the Women’s Philharmonic, the vocal ensemble Chanticleer, & Aptos Creative Arts Center (93-96) supported by Meet The Composer, and as a member of the composition faculty at Peabody Conservatory of Johns Hopkins University (1996–98). Fellowships and commissioning awards have been received from Guggenheim Foundation (96), American Academy of Arts and Letters (96), Fromm Foundation at Harvard University (94), Koussevitzky Music Foundation at the Library of Congress (97), and National Endowment for the Arts in the United States (94). Honors include a first prize from the Chinese National Composition Competition (85), the Lili Boulanger Award (93), the NYU Sorel Medal Award (96), the CalArts/Alpert Award (97), the UT Eddie Medora King Composition Prize (99), the ASCAP Concert Music Award (01), the Elise Stoeger Award (02) from Chamber Music Society of Lincoln Center, the Friendship Ambassador Award from Edgar Snow Fund (02), Honorary Doctorates from Lawrence University (02), Baldwin-Wallace College (08), University of Portland (09), The New School University (10). She has been appointed by the China Ministry of Education to the prestigious Cheung Kong Scholar Visiting Professor at the Beijing Central Conservatory of Music in 2006, and Thousand talents Distinguished Visiting Professor at the Tianjin Conservatory of Music (2012-2015). Her music is published by Theodore Presser Company, performed world wide, and recorded on Bis (02, 03, 04, 11), New Albion (97), CRI (99), Teldec (97, 99 w/ Grammy Award for Colors of Love, 03, 08), Nimbus (93/00), Cala (95), Avant (98), Atma (99), Hugo (00), Angel (01), Albany (04, 05, 06, 09), Koch International Classics (04), Delos (04), Centaur (04, 05), Eroica (05), Capstone (06), Quartz (07), China Record Co. (86, 90), New World (08, 09 w/ NPR Top 10 Classical Music Album Award for Sound of the Five) and Naxos (08, 09), among many others.